New York New JerseyChicago Engineers has worked with a variety of residences to provide MEP/FP support for renovation, expansion, and new construction projects for everything from luxury, stand-alone properties to townhouses to affordable housing. Standing on a space once occupied by a lecture hall owned by Yeshiva University, 237 East 34th Street will be a mixed use building featuring 107 condominiums spread across 26 floors, plus first floor retail space. HANAC, Inc. is a nonprofit organization that provides affordable housing for New York City’s senior citizens, as well as community outreach programs. New York New JerseyChicago Engineers provided mechanical, electrical, plumbing, and fire protection engineering consultation services for construction on a 12-floor mixed use building. New York New JerseyChicago Engineers provided professional engineering services to investigate and correct the smoke issues. Working with the owner of the townhouse, New York New JerseyChicago Engineers provided full professional mechanical, electrical, plumbing and sprinkler engineering services for a complete renovation of 35 Willow Place, which included adding a floor to the structure. 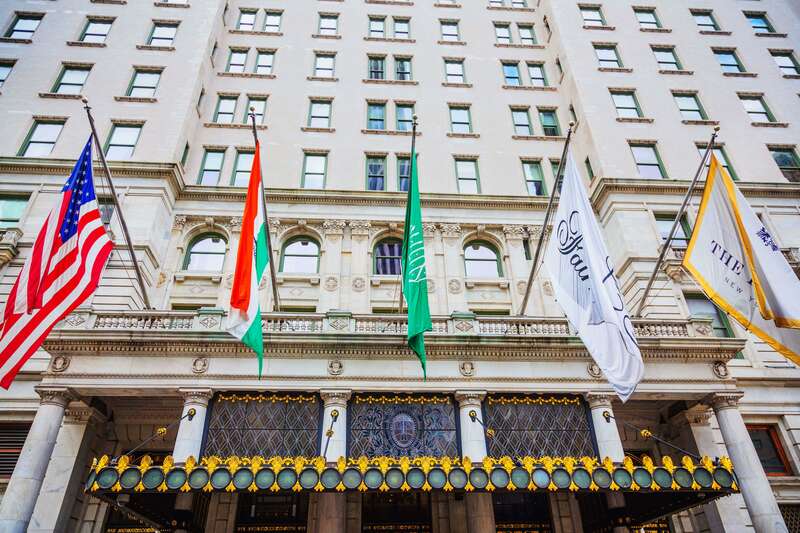 We provided Mechanical, Electrical, Plumbing, and Sprinkler professional consulting engineering services for a private residence in the iconic Plaza Hotel. The project consisted of a gut renovation of the space and involved alterations of the HVAC and the addition of full sprinkler coverage. New York New JerseyChicago Engineers provided MEP/FP professional consulting engineering services for the gut renovation of a six story townhouse located in the city's West 71st Street Historic District. New York New JerseyChicago Engineers provided professional mechanical,electrical, plumbing, and fire protection engineering consultation services for the organization's newest building containing 32 apartments, daycare, community facility, cafeteria, and office space. 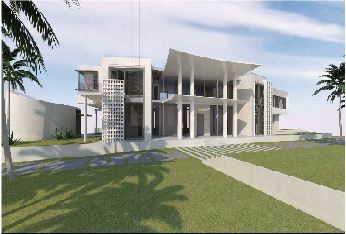 This project was delivered in REVIT. New York New JerseyChicago Engineers was hired to provide professional sprinkler engineering services to a historical five-story townhouse for a home renovation. This High Victorian Gothic Style residence, built in 1874, is listed on the National Register of Historic places. It was recently purchased in 2011, and modernized. New York New JerseyChicago Engineers modernized all MEP systems and provided professional consulting engineering services for the project. 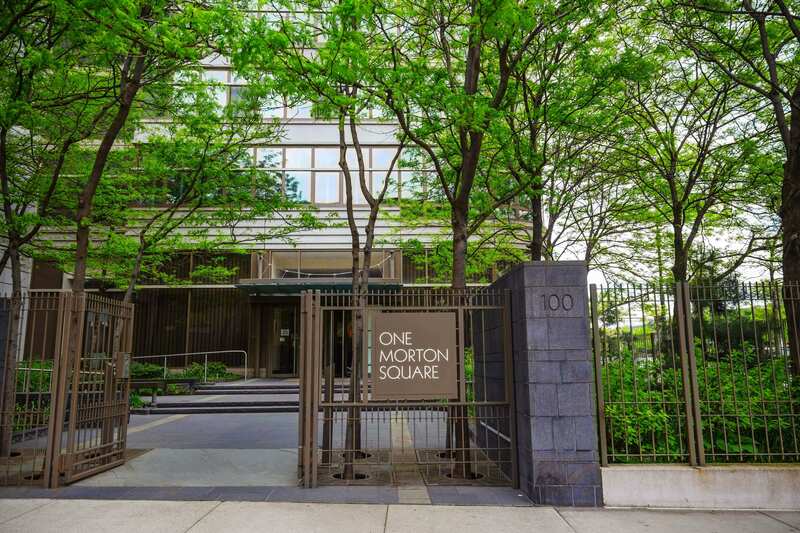 Morton Square, a full-service premier luxury residential complex, which features a health club, courtyard, and a full service garage, along with, 6 townhouses and 283 apartments, underwent renovations. New York New JerseyChicago Engineers was involved in the renovation of the property's lobby, forecourt, storage and retail space, common areas and snow melt systems. La Cite Development is building 2 new mixed use buildings, totaling over 200 units and includes retail space on the ground level. New York New JerseyChicago Engineers provided value engineering consulting services on initial drawings to ensure energy efficiency through design of both buildings. Based in SoHo, King street is listed in the National Register of Historic Places. 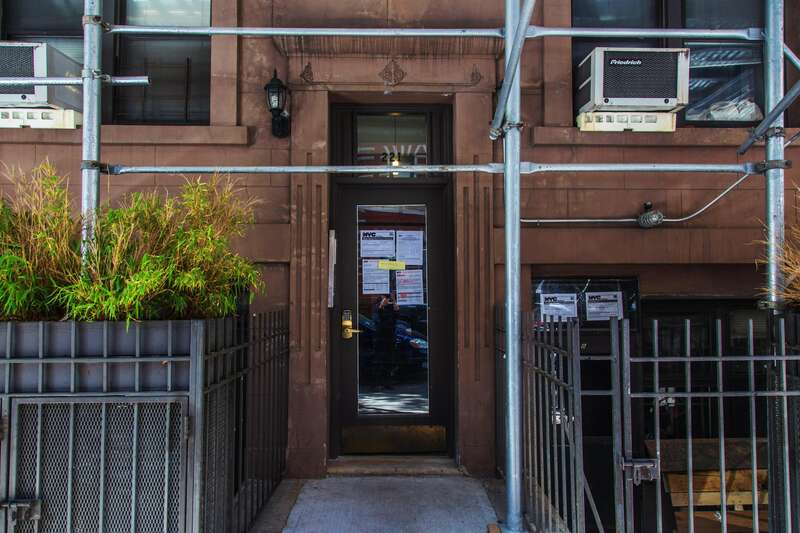 New York New JerseyChicago Engineers provided full professional mechanical, electrical, and plumbing engineering consultation services as part of a renovation of the townhouse. 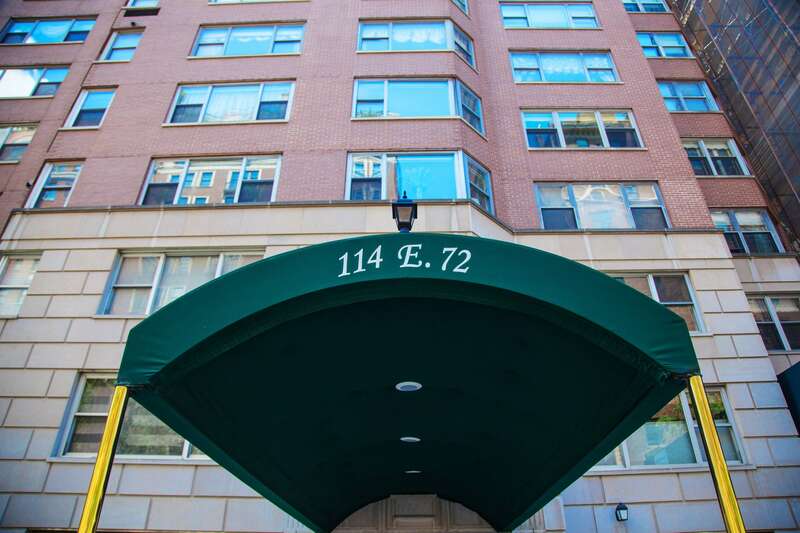 New York New JerseyChicago Engineers provided mechanical engineering services, for the design of an ultra energy efficient variable refrigerant flow system, in a multifamily townhouse. Located in one of New York City's most recognized luxury high-rise residential buildings, The Kushner Residence was provided with professional mechanical and plumbing engineering services. The renovation and work completed, included minor changes to the architectural layout. 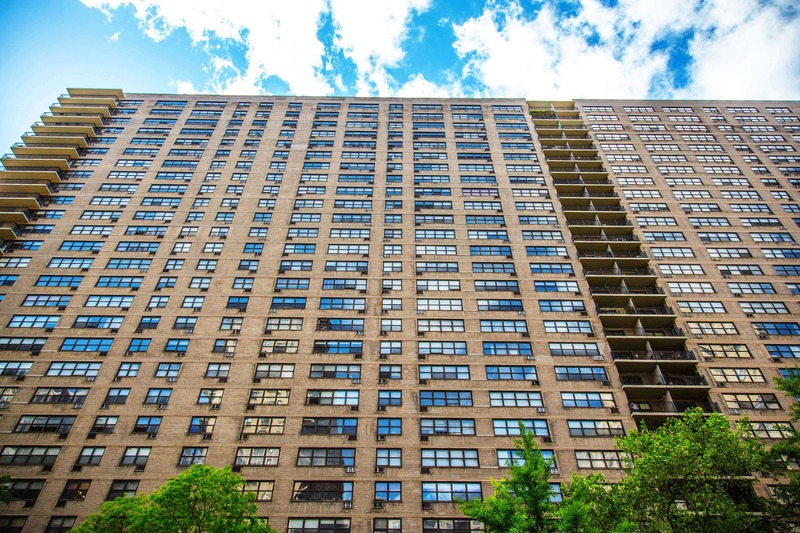 New York New JerseyChicago Engineers performed a troubleshooting survey on domestic water systems when the penthouse apartment of the 58th Street building had been experiencing low flow and low temperature water issues. An architectural gem, in Greenwich Village, designed by Harvey Corbett of Helme & Corbett Architects, was provided mechanical, electrical, and plumbing engineering services. Located in the West Village, this 4 story townhouse was completely gut renovated from a single family home into 3 units. New York New JerseyChicago Engineers provided MEP/FP consultations. New York New JerseyChicago Engineers provided professional engineering consultation services for the construction of a new 7 story building comprised of 10 residential units. An ultra-efficient Variable Refrigerant Flow (VRF) System was utilized. Gas service to this location was shut down by ConEd. 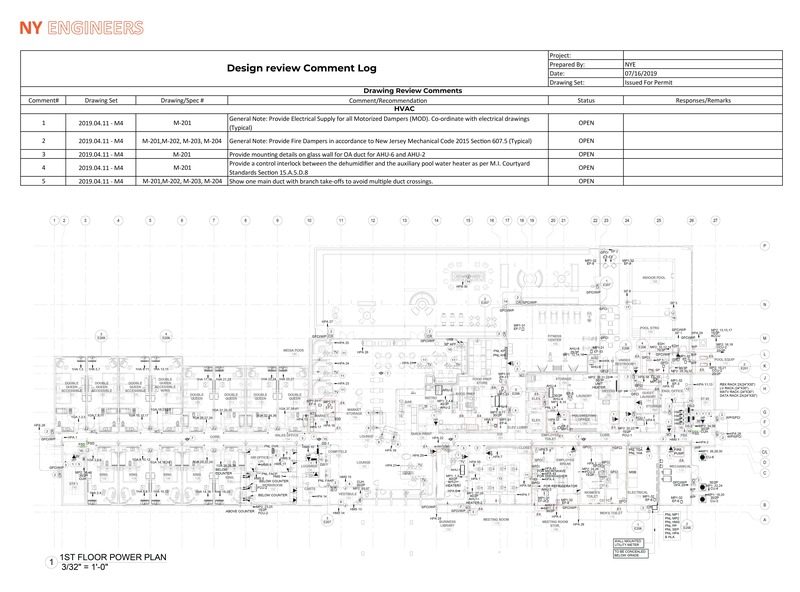 New York New JerseyChicago Engineers provided plumbing engineering services for the gas leak survey, and CAD floor plans were provided. New York New JerseyChicago Engineers provided Mechanical engineering services to a 3 story multi-family home located in Brooklyn, during renovations. 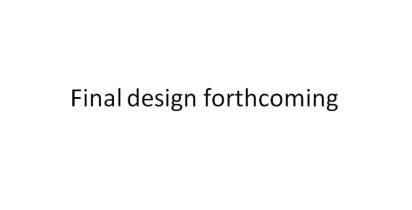 The architectural layout was also altered. New York New JerseyChicago Engineers designed a new HVAC system and prepared an electric load letter for a private residence renovation. 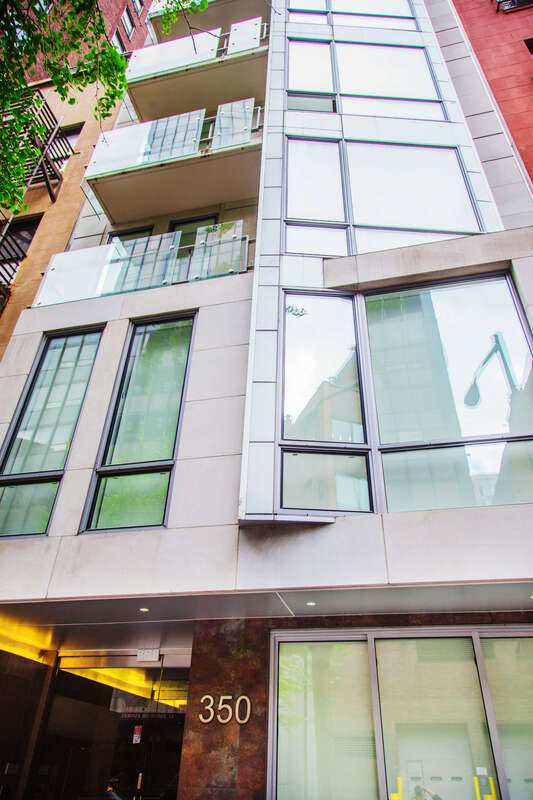 After design and construction, New York New JerseyChicago Engineers provided special inspection engineering services for this 3 story, Harlem, townhouse. MEP/FP professional consulting engineering services for a combination renovation of two single family apartments, thus creating a duplex. New York New JerseyChicago Engineers provided professional consulting engineering services for a gut renovation of a 5 story townhouse; converting 15 units into 6 units. New York New JerseyChicago Engineers performed MEP/FP engineering services for this high end renovation in the new 1 York Street apartment building. New York New JerseyChicago Engineers provided professional MEP/FP engineering consultation services, to repair damage sustained during Hurricane Irene. Engineering consultation services were conducted to fix power loss, boiler and both electrical and mechanical systems. After Hurricane Sandy, several multifamily homes; of Enterprise Community Partners, were destroyed. New York New JerseyChicago Engineers provided resilience assessments, as well as provided capital and operational improvement opportunities. Cost estimates for further enhancement opportunities were made. New York New JerseyChicago Engineers worked with Bronx Pro Real Estate Management, on 6 properties to redesign the heating systems, add laundry rooms, and further upgrades, in accordance with Enterprise Green Communities. 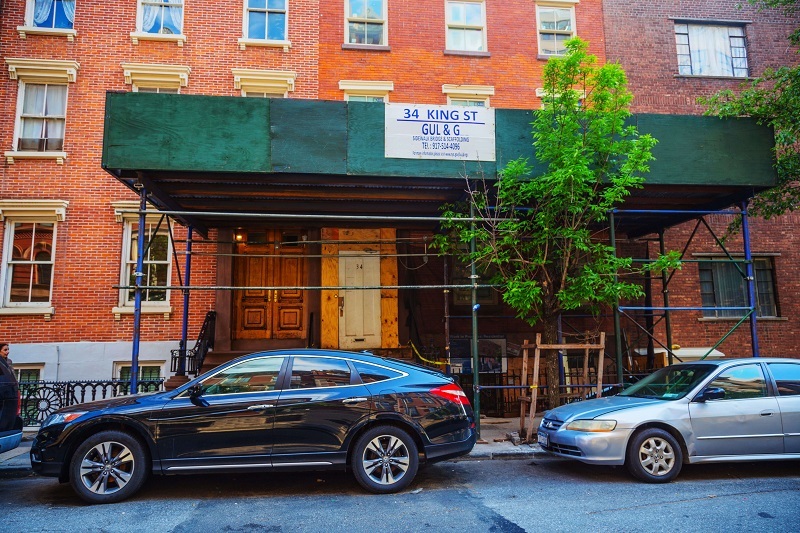 Located in Brooklyn, this historic, two-story multi-family, received a full renovation of the home's former mechanical system into a new, energy-efficient air conditioner and heating system by New York New JerseyChicago Engineers. 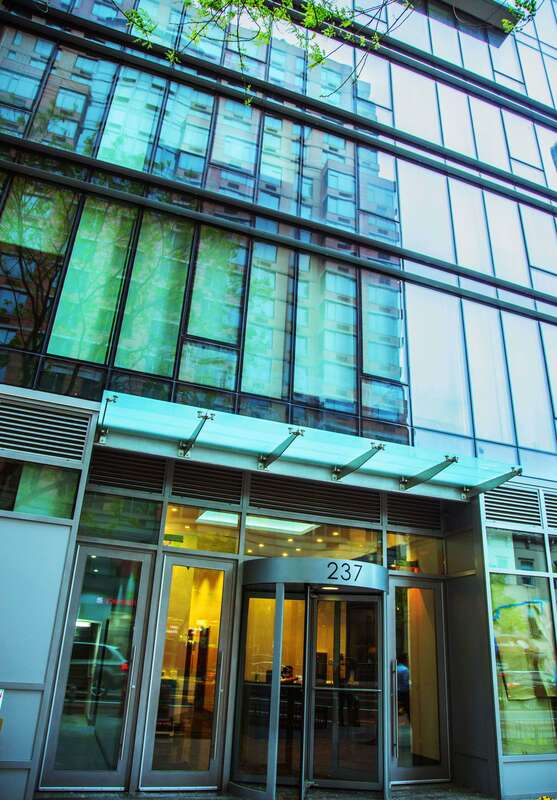 This high rise apartment building received various thermal and energy efficient MEP upgrades. The work included code compliance issues and ADA accessibility upgrades. Professional engineering consultation services were provided for this high end luxury apartment renovation. This three-floor pre-war residential building underwent a massive gut renovation, with an addition of a fourth floor and cellar. The oil-fired burner was replaced by a gas-fired boiler and a new gas service was brought into the building. This five floor, plus basement, pre war residential building underwent a gut renovation. New York New JerseyChicago Engineers helped to change out the oil-fired boiler to a gas-fired boiler, as well as a new gas service. This five-story residential building in Boerum Hill, Brooklyn, was provided with MEP/FP engineering services. The building contains a white box commercial space , and seven apartments. This pre-war co-op, consisting of 92 apartments, was provided with electrical upgrades, in order to accomodate apartment modernizations,, such as air conditioning. This five-story multifamily townhouse, which utilizes a "passive house" model for energy efficiency, was provided with professional mechanical, electrical, plumbing, and sprinkler engineering consultation services. New York New JerseyChicago Engineers provided Special Inspections engineering services; consisting of mechanical, sprinkler, and firestop inspections, as required by the Department of Buildings. New York New JerseyChicago Engineers provided full MEP/FP professional engineering consultation services, for the new development of an eight story condo building. After Hurricane Sandy, this co-op building was provided with storm protection upgrades, including a generator and ensure storm resiliency. New York New JerseyChicago Engineers helped to provide an emergency generator to this 13 story building, consisting of 116 units, in Coney island Brooklyn. This former church building in Bushwick, was provided with full MEP/FP engineering consultation services when converting part of the building to affordable housing. After a fire that destroyed the top two floors, New York New JerseyChicago Engineers helped to provide sprinkler engineering services for the sprinkler engineering survey and report. New York New JerseyChicago Engineers provided professional mechanical consulting engineering services for 'The Colorado'; including covering the construction administration portion, for a non-compliant fresh air intake system. An unusually wide, six-story townhouse, located on this rarely available and much sought after street in Greenwich Village, is the quintessential trophy property. This stunning 11,000 square foot residence is the ultimate combination of high quality design and material selection. This is an extraordinarily elegant and thoughtful renovation exhibiting impeccable attention to original detail while tastefully creating a contemporary interior aesthetic fitted with high-end finishes including hardwood floors, exotic Italian marbles, granite countertops, and top-of-the-line fixtures and appliances. 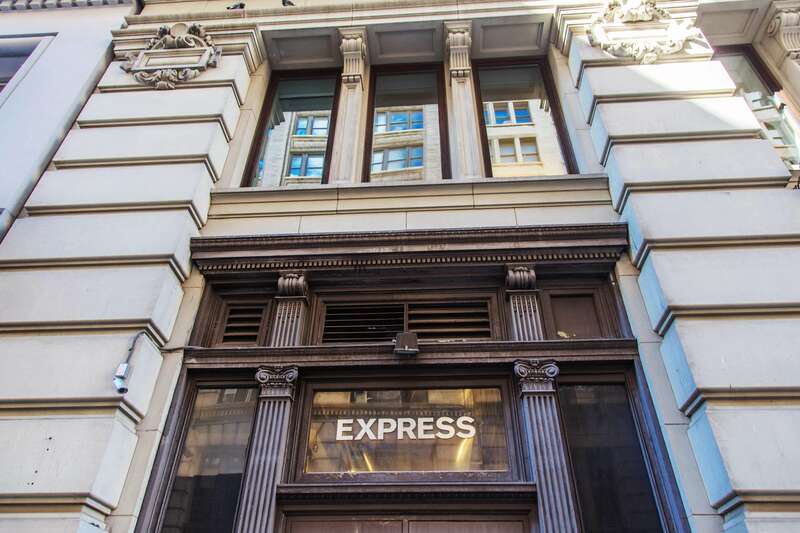 New York New JerseyChicago Engineers provided mechanical, electrical, plumbing, sprinkler, and fire alarm engineering services to a private residence on East 82nd Street. Working in conjunction with The Parodneck Foundation/Community Assisted Tenant Controlled Housing (CATCH), New York New JerseyChicago Engineers provided mechanical engineering consulting services for boiler upgrades and replacements through several buildings in Manhattan and Brooklyn. 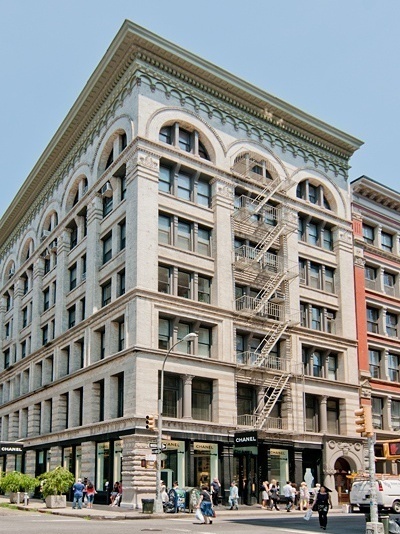 Built in 1900, 109 Spring Street is in the center of the ever-trendy SoHo, demonstrated by how it even comes equipped with a MAC cosmetics store on its bottom floor. The building is undergoing a phased floor by floor conversion into apartments as tenants move out. New York New JerseyChicago Engineers performed a high end renovation that included adding an AC unit to the kitchen as well as new dryer unit. Situated on what was named New York City’s most beautiful residential block in 1939 by Fortune magazine -- and what is referred to as ‘Millionaire’s Row’ -- sits this townhouse, the only remaining of five built by Edmund and Japhet Mason in 1863. The five homes built (located between 121-129 East 70th Street) were extraordinary because they were built during the Civil War, a time when most construction had come to a halt due to the lack of building supplies and workers. The homes were, and still are, considered as the most architecturally significant works ever produced by the Masons, due to the use of Victorian Gothic style and Venetian arches that are considered unique in New York row houses. New York New JerseyChicago Engineers provided professional sprinkler consulting services for the Park Place Townhouse in order to ensure the safety of all of those occupying the 4-story building. New York New JerseyChicago Engineers was hired by Dion Nicely to design the regrade of a large outdoor patio area to improve site drainage and runoff. 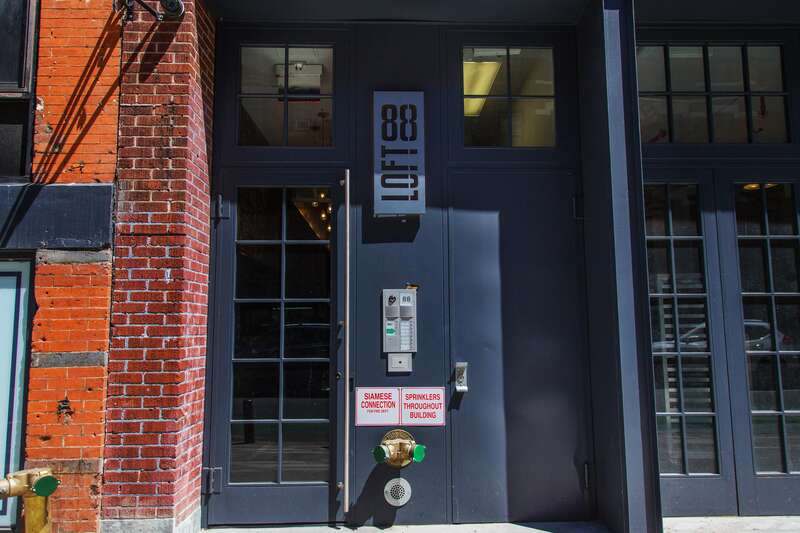 An ultra-modern reinterpretation of a 19th century livery stables, Loft 88 includes seven meticulously crafted homes featuring gorgeous condo-quality finishes, spacious floor plans and thoughtful amenities in a secluded, boutique backdrop. "Long Island City is an area in the westernmost part of Queens, minutes away from midtown Manhattan via subway or ferry. The Poppleton neighborhood of Baltimore is undergoing a rejuvenation. La Cite Development is beginning work on 2 new mixed use buildings – one at 92,000 ft2 with 86 units, the other with 257,000 ft2with 171 units - on North Schroeder Street, which will include 15,000 ft2 of neighborhood retail space on the ground level below 6 stories of affordable residential units, approximately 20% of which will be reserved as workforce housing. This is the first phase of a $1.2 billion development, and is currently the largest development project in Baltimore. Situated on a quiet, coveted cobblestone street, 60 Beech Street is an architecturally distinctive prewar condominium with 7 floors and 26 luxurious apartments in the heart of historically-landmarked TriBeCa. This location is in the East Village neighborhood in New York. Nearby parks include Open Road Park, Joseph C Sauer Park and Toyota Children's Learning Garden. The lots at 1902 and 1906 S. Ocean Blvd. together measure nearly 3 acres and offer a combined total of about 300 feet of waterfront, according to property records. With two oceanfront parcels and a lakeside dock. The two 25-story towers at 170 and 180 Park Row are known as Chatham Towers, a full service cooperative. The coop is fully staffed by 24 hour doormen, porters, maintenance staff, and live-in super. Georgian-style cooperative apartment building built in 1924, containes about 50 apartments. The projecting bays on the avenue are 8 and 7 stories tall at 67th and 68th Streets, respectively, because of the avenue’s hill at this location and rest of the building, to the east, is three stories taller. The property is located at 546 Long Beach Road in St. James, NY. 785 Hart Street is a Property located in the Bushwick neighborhood in Brooklyn, NY. 785 Hart Street was built in 1931 and has 1 story and 1 unit. A true classic Chelsea loft building, 521 West 23rd Street was built in 1914 and stands 10 stories tall. 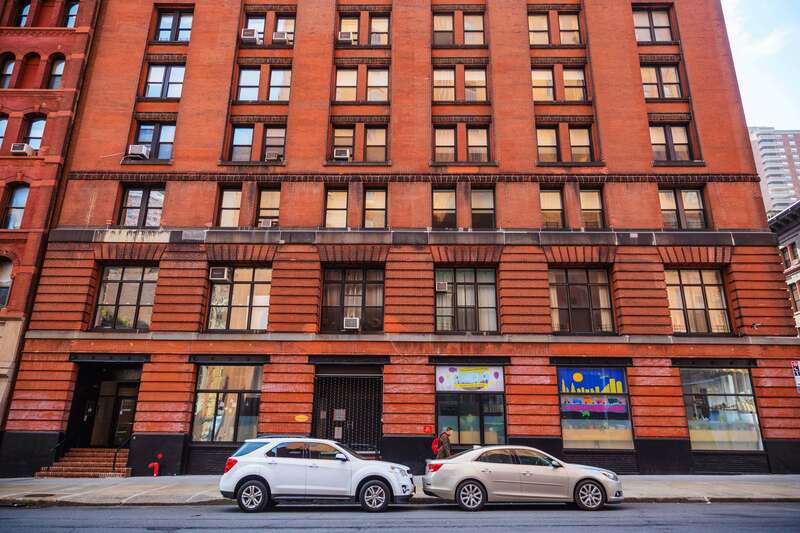 The beautiful rustic brick façade and large city windows showcase the prewar exterior charm.The building offers laundry, American Black Walnut Floors throughout, elevator, and part-time Doorman. 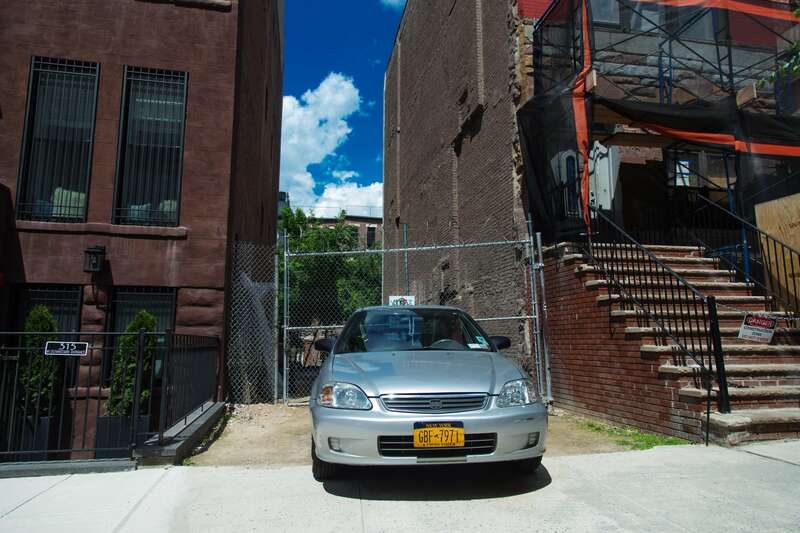 815 Prospect Place is a Townhouse located in the Crown Heights neighborhood in Brooklyn, NY. 815 Prospect Place was built in 1910 and has 3 stories and 2 units. 501 West 110th located between Broadway and Amsterdam is one of Morningside Heights most sought after rental properties. This architectural beauty was constructed in 1910, consisting of 66 units with an elevator. 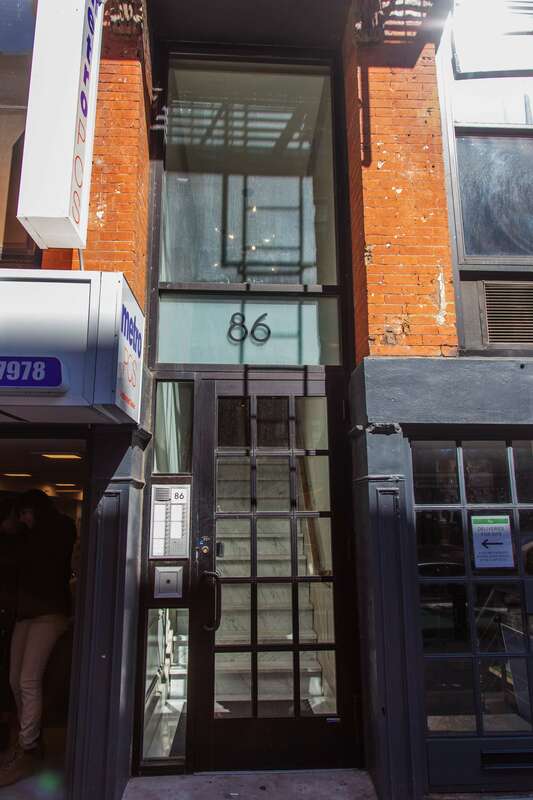 862 Ninth Avenue is a Building located in the Hell's Kitchen neighborhood in Manhattan, NY. 862 Ninth Avenue was built in 1930 and has 5 stories and 9 units. 340 (and 350) W. 57th St. are the two Parc Vendome Condominium buildings on the south side of W. 57th St. Pre-war details and amenities abound: private garden, roof decks, billiards, piano, and banquet rooms. 1070 Washington Avenue is a Building located in the Morrisania neighborhood in Bronx, NY. 1070 Washington Avenue was built in 2013 and has 7 stories and 50 units. 315 West 121st Street is a Building located in the South Harlem neighborhood in Manhattan, NY. 315 West 121st Street was built in 2016 and has 8 stories and 8 units. 1520 Fulton Street is a new apartment development by Hello Living currently under construction at 1520 Fulton Street, New York.The development has a total of 10 units. 1290 Madison Avenue is a Building located in the Carnegie Hill neighborhood in Manhattan, NY. 1290 Madison Avenue was built in 1912 and has 7 stories and 13 units. 273 Gates Avenue is a Building located in the Bedford-Stuyvesant neighborhood in Brooklyn, NY. 273 Gates Avenue was built in 1920 and has 6 stories and 35 units. 250 Garfield Place is a Townhouse located in the Park Slope neighborhood in Brooklyn, NY. 250 Garfield Place was built in 1899 and has 3 stories and 2 units. 220 12th Avenue is a Property located in the West Chelsea neighborhood in Manhattan, NY. Indulge in units thoughtfully-designed units with stainless steel appliances, hardwood floors, modern finishes, and beautiful views. With many apartments featuring balconies, feel at home with gorgeous outdoor space overlooking Pelham Park. The 205 Mulberry Street Condominium was built circa 1871 for the New York City Police Department to house the 14th Precinct, and later used as a workshop for the department. 1641 Amsterdam Avenue is a Building located in the Hamilton Heights neighborhood in Manhattan, NY. 1641 Amsterdam Avenue was built in 1946 and has 7 stories and 136 units. 33-02 48th Avenue is a Property located in the Sunnyside neighborhood in Queens, NY. 33-02 48th Avenue was built in 1926 and has 4 stories and 1 unit. This is a Coop located at 1371 Linden Boulevard, Brooklyn, NY. 1371 Linden Blvd has approximately 398,223 square feet. La Cité Development, LLC is a real estate development corporation investing in strategic real estate ventures throughout the eastern seaboard, as well as specific markets elsewhere in the United States and abroad. 154 West 120th Street is a Building located in the South Harlem neighborhood in Manhattan, NY. 154 West 120th Street was built in 1910 and has 3 stories and 3 units. 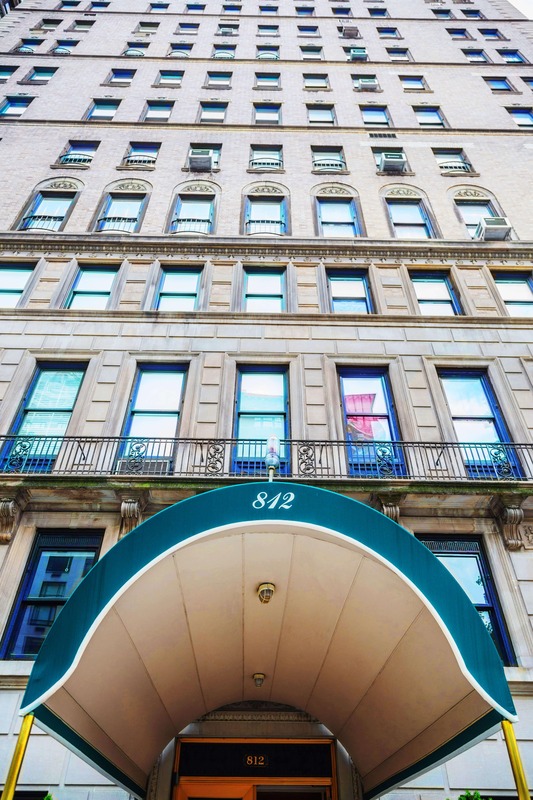 Originally built by Andrew Carnegie as the Engineer’s Club in 1907, Bryant Park Place is a 82 unit, 100% owned coop comprised of 4 buildings, and the only residence on Bryant Park. 193 Henry Street is a Building located in the Two Bridges neighborhood in Manhattan, NY. 193 Henry Street was built in 1900 and has 4 stories and 1 unit. This is a Single-Family Home located at 38 Kipp Avenue, Hasbrouck Heights, NJ. 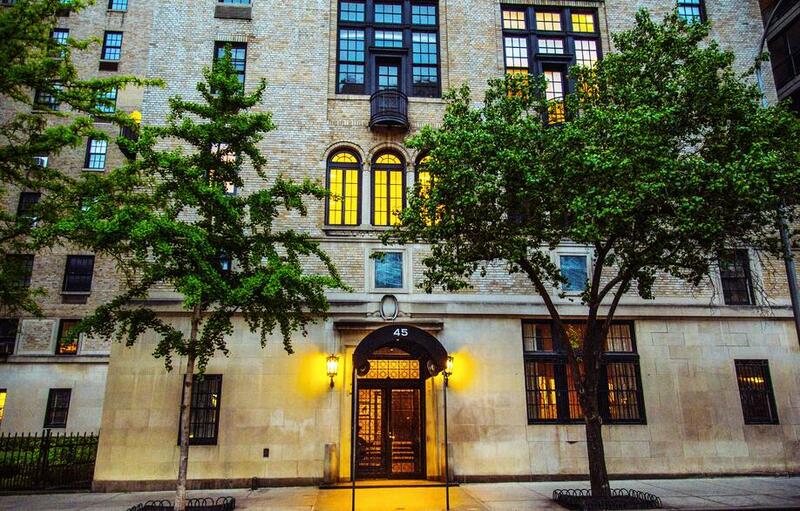 An oasis of 20 acres in the midst of the vibrant Upper West Side, steps from Lincoln Center that features private shared playgrounds, basketball court and parks, mature plantings, lovely gardens, benches and convenient driveways to the buildings for easy access. Situated on western edge of Greenpoint, Brooklyn, The Gibraltar is a compelling new development project that will possess startling views of the East River and the Manhattan skyline. Cobble Hill Towers is comprised of nine 6-story buildings facing Warren, Hicks and Baltic Street. Built in 1879 and renovated and modernized throughout the years, the buildings are architecturally unique. 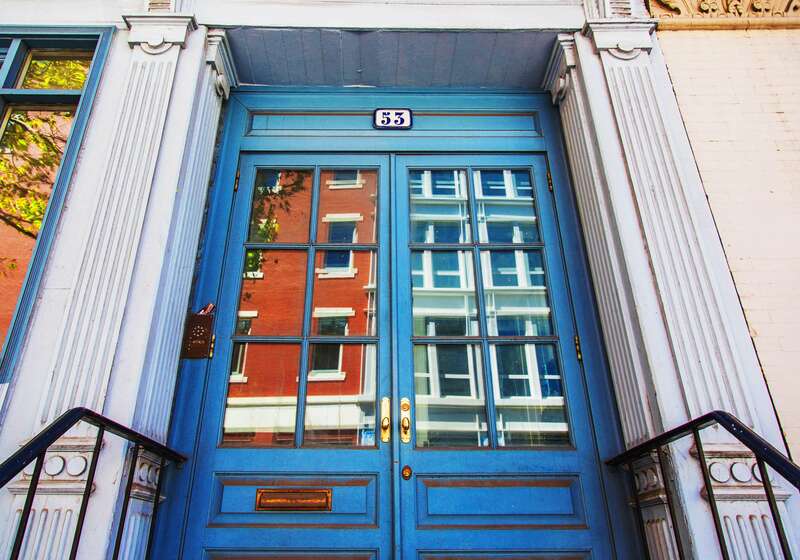 160 Henry Street is a vintage prewar building, built in 1924 and one of only four continuously operating prewar coops in Brooklyn Heights.The building is located in central Brooklyn Heights convenient to four subway lines, gourmet restaurants and easy shopping. The Strivers Row Condominium is the amongst the newest and finest luxury condo developments to grace Harlem’s new renaissance. This luxury prewar building has 80 apartments that are of six to thirteen rooms, all with fine proportions, wood burning fireplaces and some with terraces. Located between Broom Street and Spring Street, 514 Broadway, also known as 66 Crosby, is a SoHo prewar Co-op filled with unique and spacious lofts. 363 Douglass Street is a Building located in the Park Slope neighborhood in Brooklyn, NY. 363 Douglass Street was built in 1910 and has 3 stories and 3 units. 147 West 25th Street is a Building located in the Chelsea neighborhood in Manhattan, NY. 147 West 25th Street was built in 1911 and has 12 stories and 13 units. 142 West 19th Street is a Building located in the Chelsea neighborhood in Manhattan, NY. 142 West 19th Street was built in 1901 and has 4 stories and 8 units. 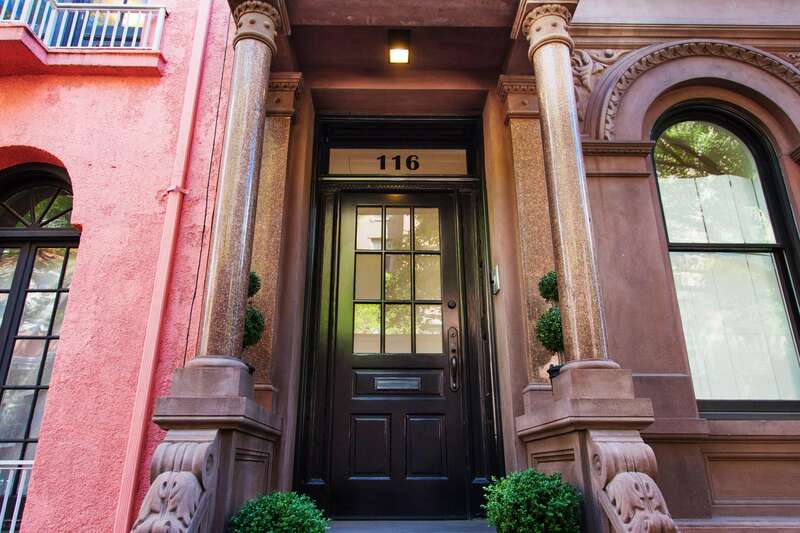 107 Saint Felix Street is a Building located in the Fort Greene neighborhood in Brooklyn, NY. 107 Saint Felix Street was built in 1899 and has 3 stories and 3 units. 206 East 75th Street is a Building located in the Upper East Side neighborhood in Manhattan, NY. 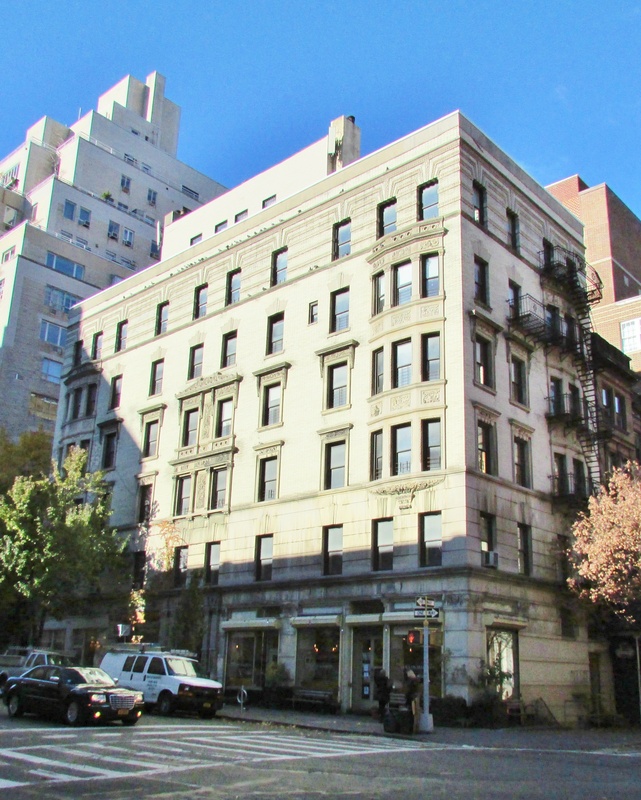 206 East 75th Street was built in 1910 and has 4 stories and 5 units. 133 Beard Street is a Building located in the Red Hook neighborhood in Brooklyn, NY. 133 Beard Street was built in 1910 and has 2 stories and 25 units. 75-41 Kessel Street is a Townhouse located in the Forest Hills neighborhood in Queens, NY. 75-41 Kessel Street was built in 1925 and has 2 stories and 1 unit. The historic St George Tower is a full service building with handicap access, laundry facilities, and the most amazing city & harbor views from the common roof deck. It is well located near the 2/3/4/5/M/R/A/C trains & the Promenade. 9 East 96th Street is a very well-run elevator Part-time Doorman with a Live-in Super Co-Op with 47 units and 16 stories built in 1927. 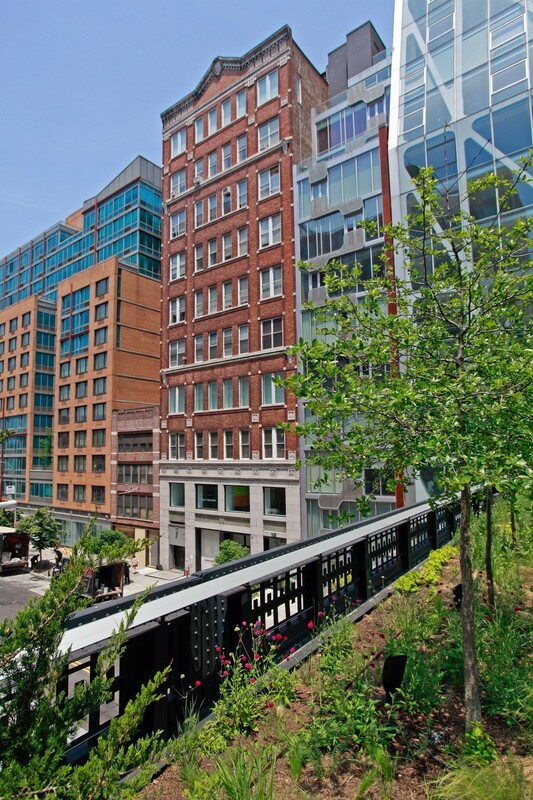 Close to Museums and all that the Carnegie Hill Neighborhood has to offer. 92 Eighth Avenue is a Building located in the Chelsea neighborhood in Manhattan, NY. 92 Eighth Avenue was built in 2016 and has 6 stories and 9 units. 91-93 Diamond Street represents a rare opportunity to acquire 50’ of frontage close to transportation in a highly sought-after condominium market.The site is located on Diamond Street between Norman and Nassau Avenues, a short distance away from the G train at Nassau Avenue. 90 Fifth Avenue is an/a Office building located within the Manhattan market and in the Flatiron District neighborhood. Managed by RFR Realty, the 137,000-square-foot property is currently off the market. 521 Hudson Street is a Building located in the West Village neighborhood in Manhattan, NY. 184 North 9th Street is a Building located in the Williamsburg neighborhood in Brooklyn, NY. 184 North 9th Street was built in 1910 and has 3 stories and 3 units. The Carlton Regency at 137 East 36th Street is a 26 story, 210 unit cooperative converted in 1979. The Coop is adjacent to the Murray Hill Historic District. It is 98% owner occupied. Built in 1928 as the Adams Hotel this beautiful prewar building was gut renovated and converted to condominium in 1991. There are 54 luxurious apartments spread over 23 floors, some with oudoor space and spectacular views of Central Park. 112 Prince Street is a Building located in the Soho neighborhood in Manhattan, NY. 112 Prince Street was built in 1900 and has 6 stories and 6 units. 300 Central Park West (The El Dorado) is one of the Upper West Sides most beloved iconic architectural landmarks. It fronts Central Park West between 90-91st Streets. 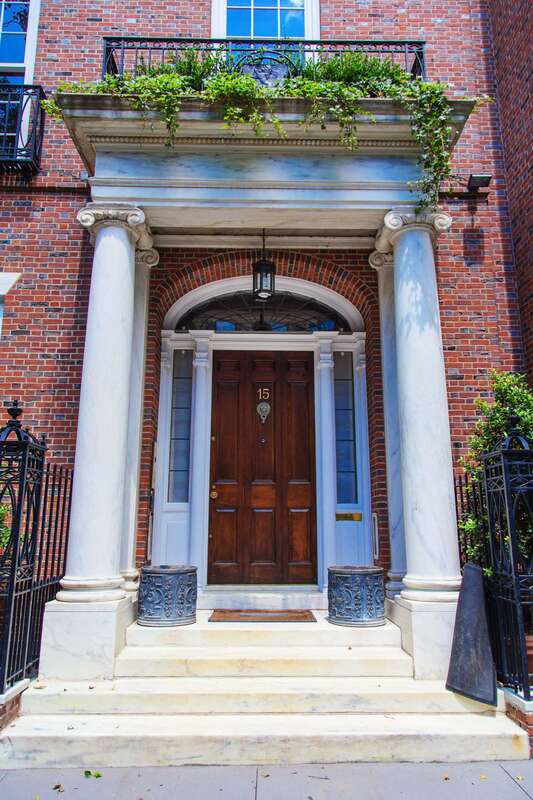 Built in 1931 this is one of Emery Roth’s most celebrated achievements. The former home of the JP Morgan Bank headquarters, 15 Broad, known as “Downtown by Philippe Starck,” was the forerunner of the downtown transformation, and the first luxury high-rise condominium on the block. 1125 Fifth Avenue is a Building located in the Carnegie Hill neighborhood in Manhattan, NY. 1125 Fifth Avenue was built in 1925 and has 14 stories and 19 units. LL11 - 1649 Amsterdam Ave. 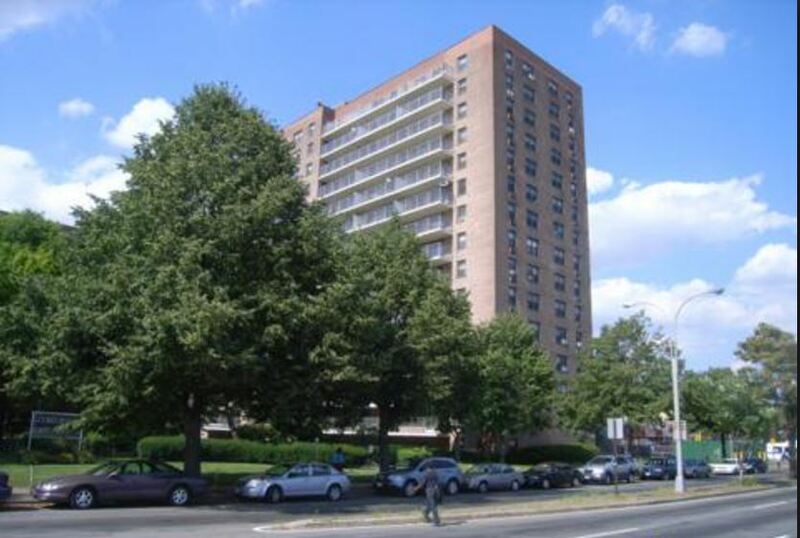 This Condo located at 2000 Linwood Ave, Fort Lee NJ.The property was built in 1960. 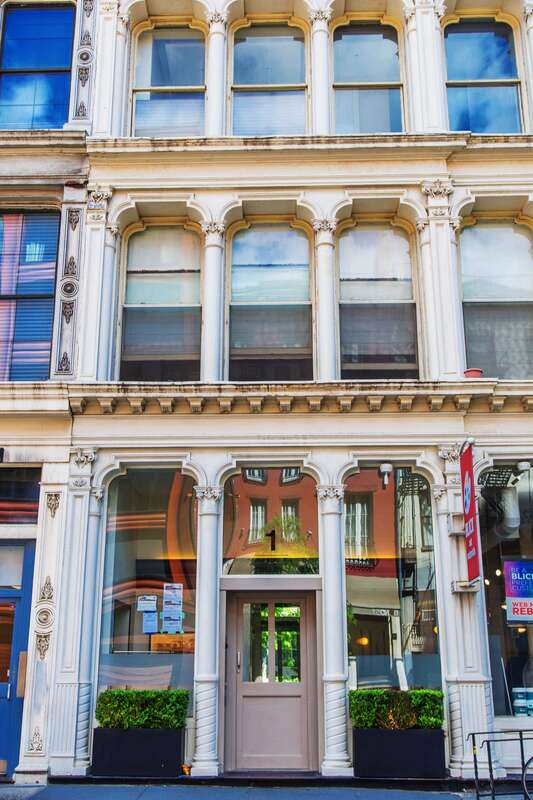 464 Broome Street was originally constructed in 1860 by Aaron Arnold, the wealthy New York merchant responsible for founding one of America’s oldest department stores, Arnold Constable & Company, which was located just two blocks away on Canal Street. 125 East 12th Street is a Building located in the East Village neighborhood in Manhattan, NY. 125 East 12th Street was built in 1988 and has 5 stories and 44 units. 97 Barrow Street is a Townhouse located in the West Village neighborhood in Manhattan, NY. 97 Barrow Street was built in 1899 and has 2 stories and 2 units. Located on a cobblestone street where Vestry turns into Laight Street. There is a walking bridge connecting Tribeca to SoHo steps away. “The Cobblestone Loft” was built in 1891 as a warehouse and converted to 32 residential condominiums in 2000. There are seven stories. 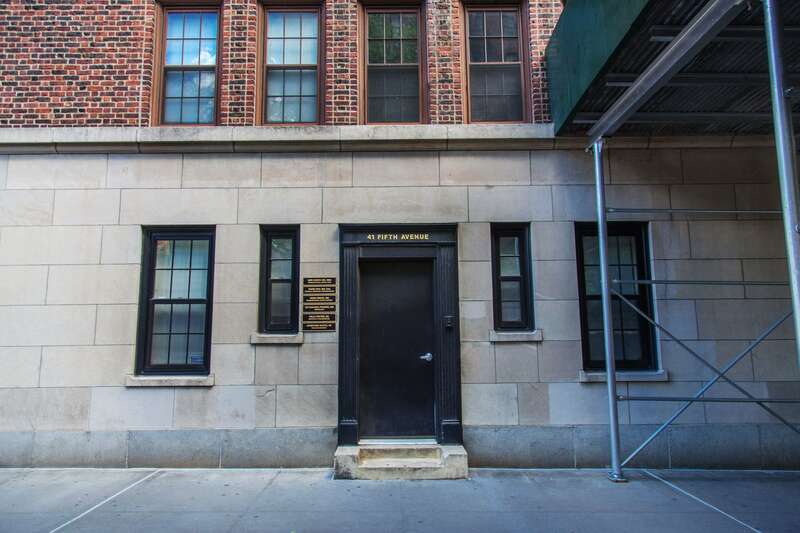 This is a Multi-Family Home located at 15 Bialystoker Place, New York, NY. 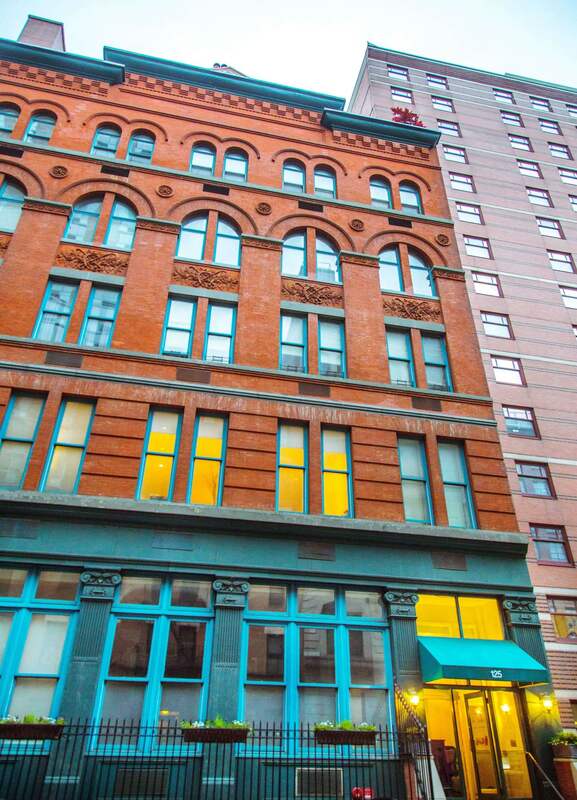 15 Bialystoker Pl has approximately 98,052 square feet. The property has a lot size of 0.42 acres and was built in 1982. 565 9th Street is a Building located in the Park Slope neighborhood in Brooklyn, NY. 565 9th Street was built in 1901 and has 2 stories and 3 units. 142 West 86th Street is a Building located in the Upper West Side neighborhood in Manhattan, NY. 142 West 86th Street was built in 1900 and has 4 stories and 10 units. 45 East 62nd Street is a Building located in the Lenox Hill neighborhood in Manhattan, NY. 45 East 62nd Street was built in 1915 and has 9 stories and 24 units. 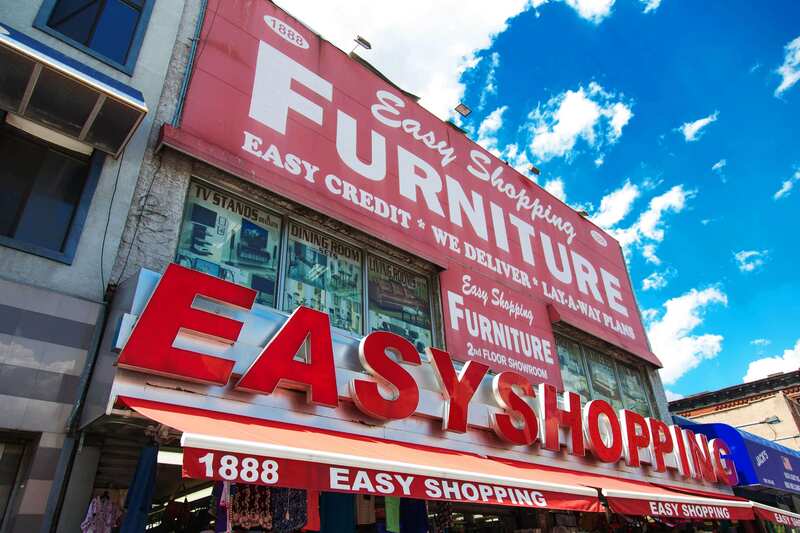 57 East 130th Street is a Building located in the Central Harlem neighborhood in Manhattan, NY. 57 East 130th Street was built in 0 and has 0 stories and 0 units. 34 East 64th Street is a Building located in the Lenox Hill neighborhood in Manhattan, NY. 34 East 64th Street was built in 1920 and has 4 stories and 5 units. Located on a cobblestone street where Vestry turns into Laight Street. There is a walking bridge connecting Tribeca to SoHo steps away. “The Cobblestone Loft” was built in 1891 as a warehouse and converted to 32 residential condominiums in 2000. 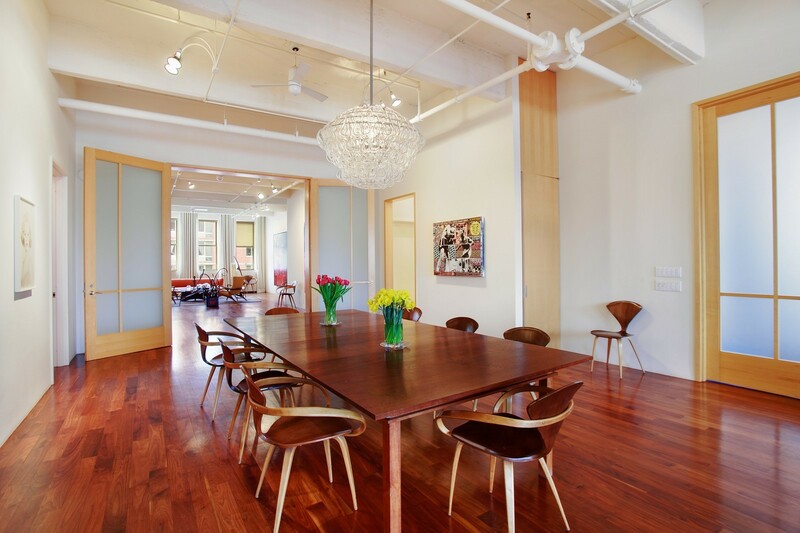 A beautiful cooperative located on the famed Park Avenue. Located in the mid 80’s the building is steps from great neighborhood restaurants and boutiques. The building is also located a short walk from the Metropolitan Museum of Art. 18 West 11th Street is a Townhouse located in the Greenwich Village neighborhood in Manhattan, NY. 18 West 11th Street was built in 1899 and has 3 stories and 1 unit. One of the four iconic twin towered apartment buildings on Central Park West and long an unofficial neighborhood landmark, The Century was given official status in 1985 when it was described as a “sophisticated essay in Art Deco design” by the Landmarks Preservation Commission. Built in the 1930s by Irwin Chanin, who also designed and constructed The Majestic on 72nd and CPW as well as several Broadway theatres. 15 E 81st St, New York, NY is a single family home that contains 16,233 sq ft and was built in 1899. The Zestimate for this house is $16,684,929, which has decreased by $243,591 in the last 30 days. Recognized as one of New York City's premier condominiums, the Bay Club combines resort living with an upscale and active lifestyle. Consider yourself privileged to be among a select few who call the Bay Club their home. The Bay Club consists of 1,037 units in two beautiful 21 story buildings set securely within our own 13 acre private enclave. Residents enjoy breathtaking views of Long Island Sound, the Manhattan skyline and the surrounding area. 3 West 18th Street is a Building located in the Flatiron neighborhood in Manhattan, NY. 3 West 18th Street was built in 1900 and has 8 stories and 17 units. Offering residences in the City That Never Sleeps, the apartments at New York City's One Bond Street are a place to call home. A Pre-war Elevator building, One Bond Street offers apartments for residents. These apartments are an example of condominium living in Greenwich Village. The Actors' Temple, officially named Congregation Ezrath Israel, is a synagogue founded in 1917 in the Hell's Kitchen neighborhood of Manhattan, New York City. 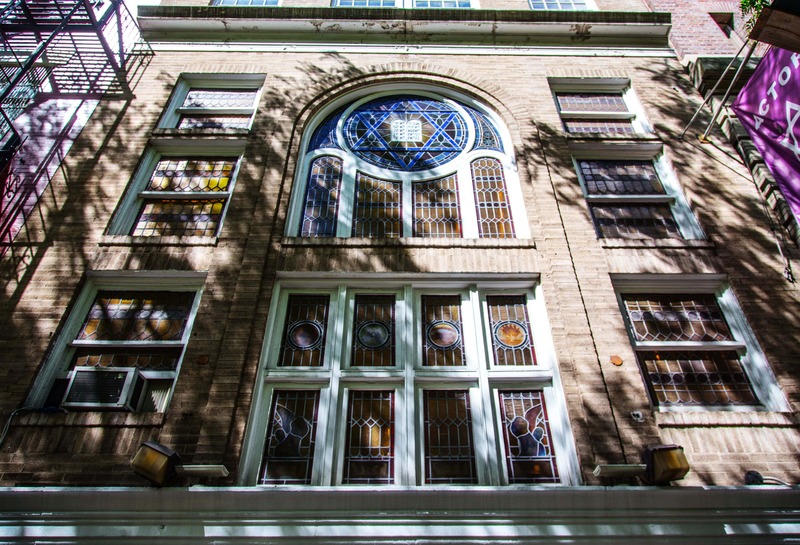 Located at 339 West 47th Street since 1923, the temple was originally dubbed "The West Side Hebrew Relief Association", and it was the synagogue of choice for the entertainment industry. Many vaudeville, musical theater, television, and nightclub performers attended services there, including Sophie Tucker, Shelley Winters, Milton Berle, Al Jolson, Jack Benny, Joe E. Lewis, Edward G. Robinson, as well as several of the Three Stooges. This rare, beautiful top floor, sun drenched loft, located in prime Soho, on the corner of Spring St and Mercer St. features abundant all day light with North and East exposures and eight feet domed skylight. Lower adjacent buildings result in a clear urban view. This townhouse on East 30th Street, built in the late 1880's, was gut renovated in the 1980's by the Architect/ Owner. Warm and bright, this home extends over 4 floors of living space (plus full-height basement) and has gorgeous Mahogany and Oak hardwood flooring, marble-mantled fireplaces and fine, thoughtful detailing throughout. 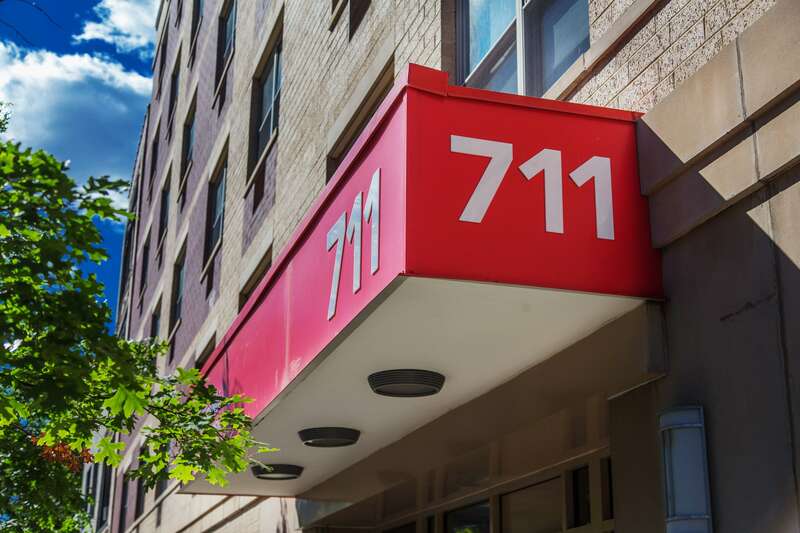 711 E 6 St is a apartment located at 711 E 6th St, New York, NY 10009, in the area is commonly known as East Village.Built in 2004, this mid-rise elevator building is 8 stories tall and contains 78 apartments. It is owned by Grand Street Settleme and managed by Jeffrey Goldstein, of TUC Management. 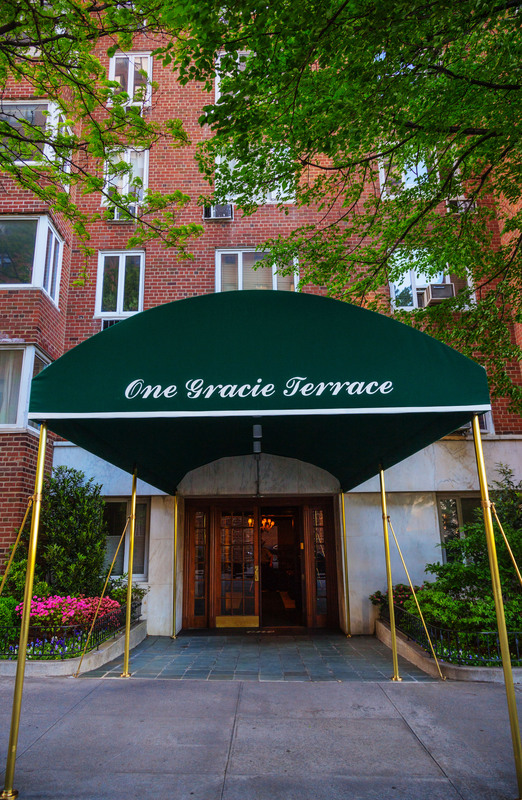 1 Gracie Terrace is an elegant Co-op with an attentive staff that includes a full time doorman, porter and live-in super. Many of the spacious apartments have balconies and many have beautiful city and breathtaking river views. A tasteful lobby with fireplace greets residents and there is a free fitness center available to shareholders. Other amenities include a garage, bike room, common storage area & central laundry. 277 Ainslie Street is a House located in the Williamsburg neighborhood in Brooklyn, NY. 277 Ainslie Street was built in 1920 and has 2 stories and 2 units. 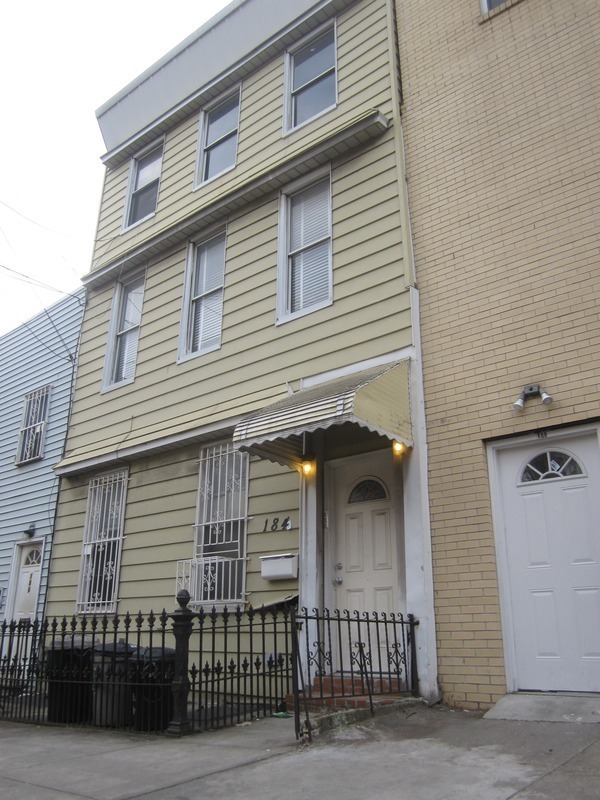 125 East 93rd Street is a House located in the Brownsville neighborhood in Brooklyn, NY. 125 East 93rd Street was built in 1930 and has 2 stories and 4 units. Completed in 1989, this 21-story condominium tower was developed by the London-based Royco Property Corporation.The design by Fox & Fowle has a red brick façade with three setback terraces. The building’s lower three floors are clad in Indiana limestone.Some of the 104 studio, one- two- and three-bedroom condominiums have fireplaces and the building has a garage, gym, garden as well as a concierge and doorman. This is a small condo building that features 8 apartments with average units of 1,286 square feet each. The exterior design has a clean monochromatic facade. The ground floor features a retail space followed by two apartments per story. The new building will be white with a black wing on the right side that will offer private terrace for each unit. Amenities in the building include shared roof deck and storage in the basement. 45-60 23rd Street is a Building located in the Hunters Point neighborhood in Queens, NY. 45-60 23rd Street was built in 1964 and has 1 story and 1 unit. 37 Driggs Avenue is a Building located in the Greenpoint neighborhood in Brooklyn, NY. 37 Driggs Avenue was built in 1920 and has 3 stories and 5 units. 640 West End Avenue – Existing Conditions Assessment and ReportThis attractive 12- story grey brick building is easily recognizable for its lush ivy covered facade. The exterior also features a 3-story rusticated limestone base and lovely limestone decorative balconies. It was built in 1912 and converted to a Condominium in 1986. The homes have very distinguished architectural details from the era including 10 foot ceilings, very elaborate plaster moldings and room wood paneling’s, long hallways and stunning parquet floors with intricate borders. Situated on the south/west corner of 15th Street , this extremely attractive renovation saw its earlier days as a knitting mill. All apartments have high ceilings, some soaring to 15’ and huge windows. The Briarcliff is an architecturally stunning, pre-war white glove Condominium built in 1922 and converted to Condominiums in 1999 with 33 residences and located in the most desirable location – the heart of Columbus Circle East with Central Park 2 blocks to the north.Located on the North East Corner of Seventh Ave and 57th Street, the Briarcliff offers incomparable views of Carnegie Hall across the street, double exposures, fine dining and superior shopping at your doorstep. 139 Spring Street is an impeccably self-managed pre-war boutique loft condominium building that is situated in Manhattan’s most chic and desirable neighborhood, and within convenient proximity to the best shopping and dining the city has to offer. Originally built as a horse stable for the Fire Department, this rare and authentic Pre-War Condo Loft building is located on a quiet tree-lined street in West Soho. The building features a private keyed glass elevator which opens directly to each unit. The building consists of six units, four of which are full floors, a duplex penthouse and a duplex maisonette on the ground floor. All units contain wood burning fireplaces. The building is pet friendly and has a very lenient sublet policy. 1293 Bergen Street is a Building located in the Crown Heights neighborhood in Brooklyn, NY. 1293 Bergen Street was built in 1899 and has 3 stories and 4 units. 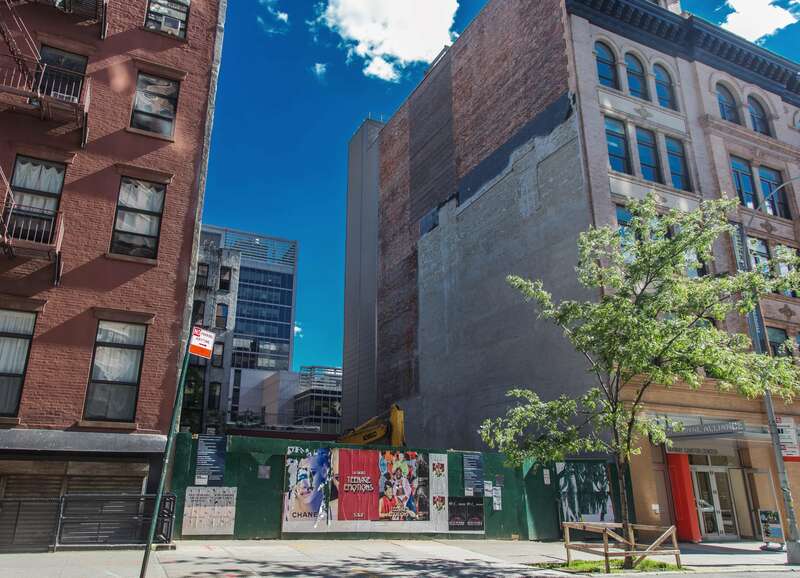 Located between Degraw and Sackett Streets, 196 4th Avenue will interest New York retailers looking to secure an entire building opportunity. 196 4th Avenue in New York enjoys high visibility with an average daily count of ca. 28,191 vehicles passing through 4th Avenue and more than 11.5 annual subway transfers taking place at Atlantic Terminal. 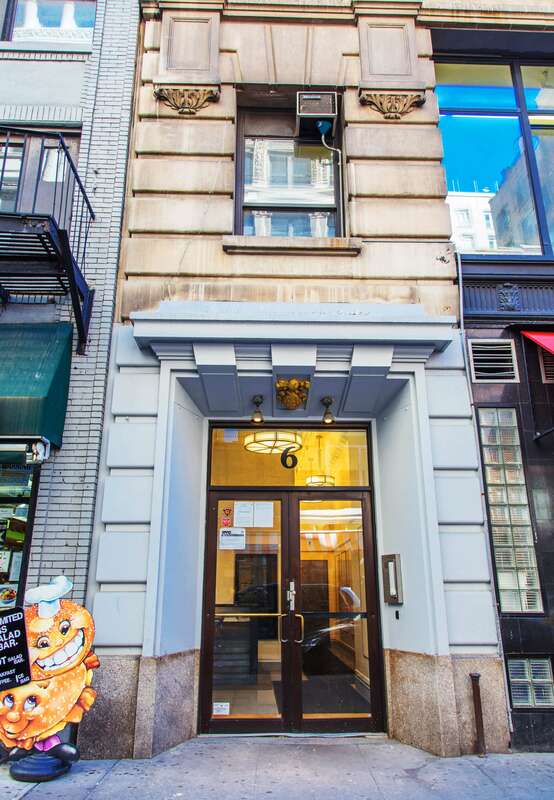 Great Upper West side location elevator building and close to transportation. Pre-war Low-rise Elevator building. Built 1938. Converted to Co-operative in 1987. 5 Floors. 29 Apartments. Built in 1931 this 3,750 sq.ft. building is 67% Residential, 33% Retail and contains 2 residential units and 1 non-residential units. 15 West 81st Street was built with luxurious apartments featuring large room sizes. Apartments facing West 81st Street look south at the Natural History Museum and Central Park West. One of the hallmarks of this building is its Italian renaissance style lobby with a fountain, magnificent marble and architectural details. 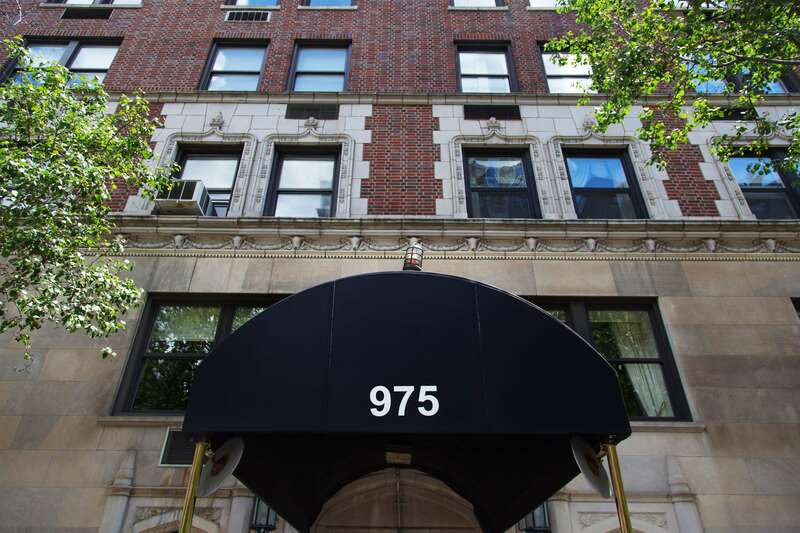 15 West 81st Street has a 24-hour doormen, a state-of-the –art fitness center, storage and a bike room. Community Access leads the fight against New York City homelessness - as a provider of quality supportive housing since 1974, and through sustained advocacy for more housing. 33 Charles Street is a House located in the West Village neighborhood in Manhattan, NY. 33 Charles Street was built in 1899 and has 3 stories and 1 unit. 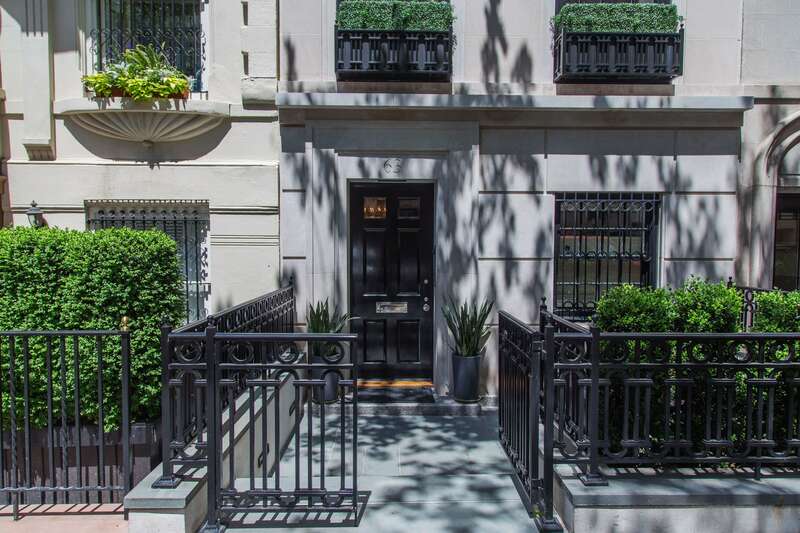 350 East 88th Street is a Property located in the Yorkville neighborhood in Manhattan, NY. 350 East 88th Street was built in 1900 and has 4 stories and 1 unit. 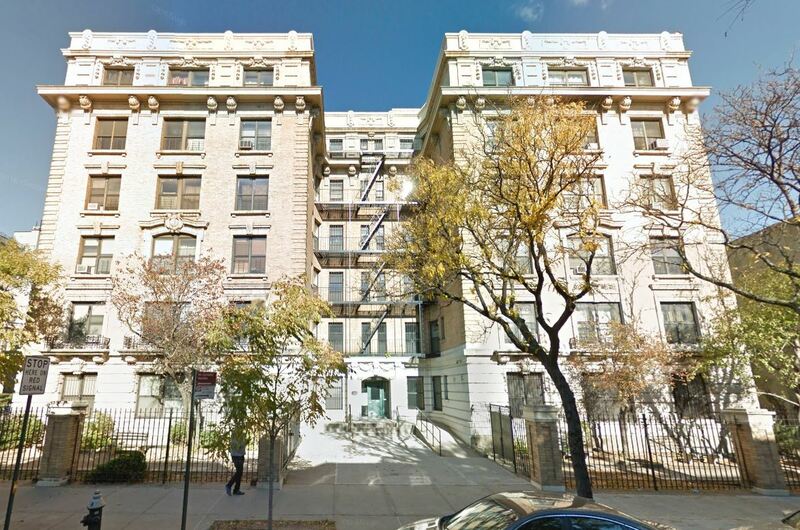 293 Hawthorne Street is a Building located in the Prospect Lefferts Gardens neighborhood in Brooklyn, NY. 293 Hawthorne Street was built in 1925 and has 1 story and 0 units. This is a 9-story, 43-unit prewar full service co-op built in 1925. There is a wonderful welcoming building staff including live-in super, doormen, handyman and porter. There are a couple of cut up 4-room units and 1BRs. David Barton Gym is at 85th and Madison and Equinox Gym is at 85th and Third. 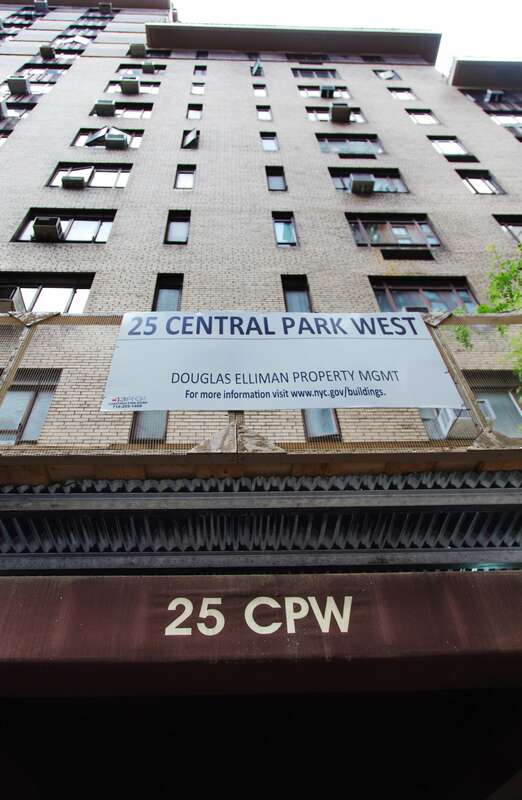 This is a fantastic prime location with a major subway line at 86th and Lexington and the crosstown bus at 86th. The building is located in the Museum Mile district with The Metropolitan Museum, Guggenheim and Cooper Hewitt Museum within blocks away. One of the great free amenities is being 1.5 blocks from Central Park and the reservoir’s 1.5 mile running track. T161 West 91st is a unique and exquisite 5 story luxury Single family townhouse that has been thoughtfully renovated with the finest high end finishes and a 6 stop elevator. A charming brownstone like this doesn’t come along often and warrants the attention of the sophisticated buyer. 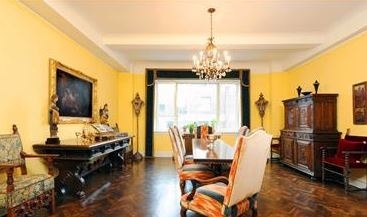 An architectural master piece located on a prime Upper West Side, beautiful tree lined block. The house sits on a 100’ deep lot and was built to maximize all the air rights. A new 5th floor was built on top making it the tallest townhouse on the block. The home boasts high ceilings and oversized rooms all drenched in natural light. The 1200 sf. Master floor, includes, a spa like bath, steam shower, soaking tub, walk in closets and executive office. 1130 Park Avenue was built in 1927 and incorporated in 1951. The architect was the well-known architect George Fred Pelham, and the builders were Marcus Brown Cons. Co., Inc. There are 46 units, 15 floors in this red-brick building with a low marble base that has a double story entrance surround. Additional decorative details include as egg-and-dart strings and garland frieze and dentils add to the restrained prewar charm of the exterior of the A-list prewar cooperative. This is a full-Service White Glove Building. 52 West 70th Street is a Building located in the Lincoln Square neighborhood in Manhattan, NY. 52 West 70th Street was built in 1910 and has 4 stories and 5 units. A true classic Chelsea loft building, 521 West 23rd Street was built in 1914 and stands 10 stories tall. The beautiful rustic brick façade and large city windows showcase the prewar exterior charm. The building offers laundry, American Black Walnut Floors throughout, elevator, and part-time Doorman. Situated on western edge of Greenpoint, Brooklyn, The Gibraltar is a compelling new development project that will possess startling views of the East River and the Manhattan skyline. Led by the thoughtful and experienced minds of Saddle Rock Equities (a company that brings a unique approach to each venture) and Eisner Design (an award-winning, LEED accredited firm with decades of experience in New York), the building will contain 20,000 SF of space that will be spread across 6 stories and 14 gorgeous loft condominiums, all of which will sit behind a façade of Equitone Grey and beneath a Sunny Brook paved roof. 598 Carroll Street is a House located in the Park Slope neighborhood in Brooklyn, NY. 598 Carroll Street was built in 1910 and has 3 stories and 3 units. 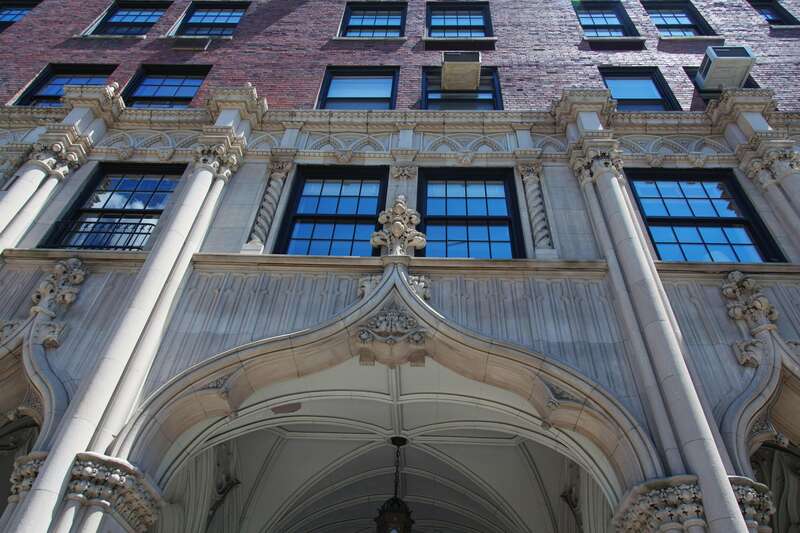 T1185 Park was the last of the large apartment houses built in the shape of a hollow square and is characterized by its distinctive gothic triple-arched entrance to its large interior court and driveway. This design provides for six separate lobbies and enables each elevator to serve only two apartments. Known for its large entrance galleries, the grand scale of its rooms and thoughtful layouts, 1185 Park is a highly sought-after address and one of the premier buildings on Park Avenue. There are 15 floors with 165 apartments. 203 East Broadway is a Building located in the Two Bridges neighborhood in Manhattan, NY. 203 East Broadway was built in 1900 and has 5 stories and 11 units. 1888 Third Avenue is a Building located in the East Harlem neighborhood in Manhattan, NY. 1888 Third Avenue was built in 1910 and has 3 stories and 1 unit.